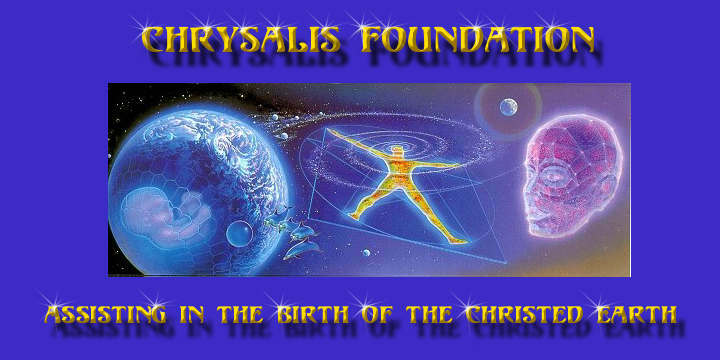 Chrysalis Foundation offers information, services, and technologies designed specifically to support and catalyze the evolutionary process of birthing the "Christ Conscious" Earth. Chrysalis Foundation is committed to assisting those who are in the evolutionary chrysalis process of releasing their third-dimensional ego-identified self (caterpillar) and becoming a multidimensional, soul-awakened being (butterfly). We are here for those who are engaged in a radical process of transformation. New material is being added to this site often. Bookmark this page and visit again!